This text from Deuteronomy is very moving and it is contained within a passage known as the Shema (“Hear”). The Shema is of special importance for the faith of the life of the chosen people. The highpoint coming in verse 5 quoted above, it is a reminder of other text in Deuteronomy and Hosea. The love God seeks from Israel is preceded by God’s love for Israel. This touches on a central point of the scriptures in the Old and New Covenants, the revelation that God is love. Verse 4 contains, “Hear, O Israel: The Lord our God is one Lord.” A solemn profession of monotheism which is distinct for the people of Israel over all other nations in their region. The first word of the verse gives the name of the famous prayer “Hear” (Shema) which the Israelites have recited over the centuries. In fact pious Jews today will still say it every morning and evening. This prayer is beautiful, but can it help us change who we are. The Shema is filled with information but if it doesn’t lead to transformation than we are not affected. God asks Israel for all its love, but is love something that can be commanded? God asks Israel and us something that has to do with will. God wants an affection which can and should be cultivated by taking seriously our filial relationship with our Father. 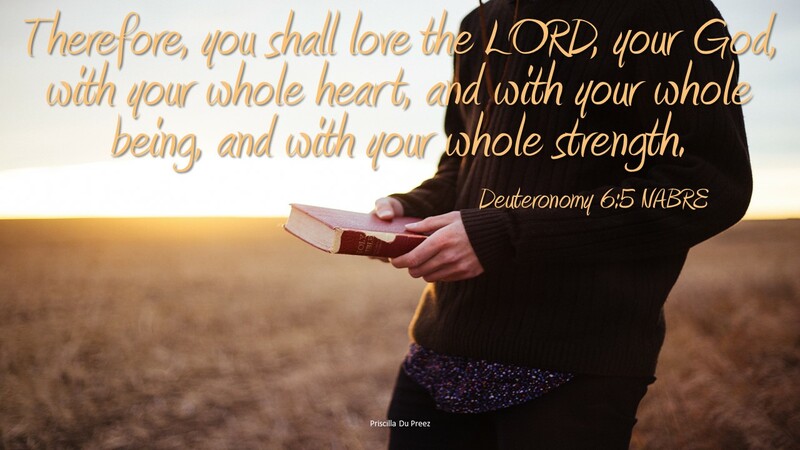 We see years later in a letter from John, “We love, because he first loved us.” (1 John 4:19) God wants our love totally; whole heart, whole being and whole strength. Jesus later says loving God and loving others are the greatest commandments. God wants us to love so that we may know what God feels for us and to love others so we know them as God knows them. Who do you love? Is your love for God transforming?